The CECS Garage is a resource for students to build, test, and document their creations. 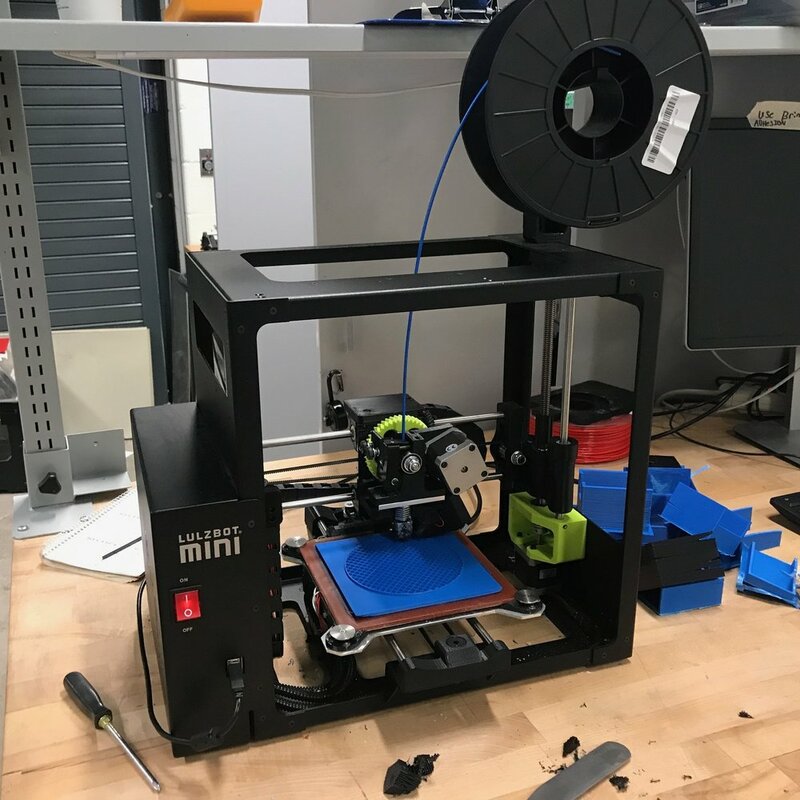 The Garage houses equipment and trained student workers to to help in the activities of 3D Printing, Laser Cutting/Etching, Vacuum Forming, 3D Scanning, Thermal Imaging, and Material Testing. Additionally, tools, instruments, and audio/video equipment are available for student use and check-out. NOTE: IF YOU WANT TO BE CERTIFIED ON THE MACHINe BELOW SIGN UP TO OUR EMAILING LIST AND YOU WILL RECEIVE EMAILS WHEN THE NEXT WORKSHOP/OPEN HOUSE IS. ANOTHER WAY IS TO LOOK AT THE MAKER SOCIETY CALENDAR. A laser engraver/cutter is a machine that you can put certain thin sheets of plastic and wood into. It then uses a laser to etch patters, shapes, and letters into. One can also use the laser to cut completely through the material int any shape they wish. This is an easy and great way to make! MakerBot/Taz: Regular print ( $5.00 and $0.05 per gram over 50 grams). The best way to communicate with the students is to fill out the order form below or go see students in the Garage weekdays between 8am-5pm.